Searching for a bright idea? 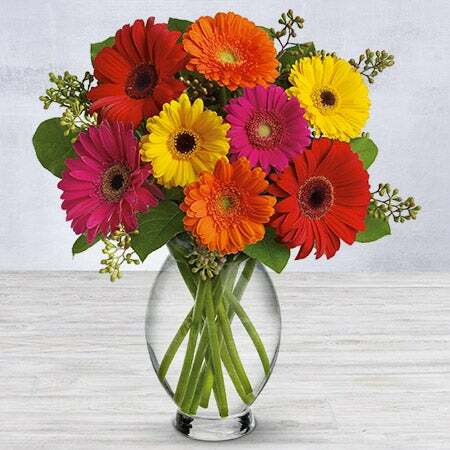 Send this glorious and colorful gerbera arrangement and you'll create a happy memory they won't soon forget! Hot pink and red gerberas, miniature hot pink and orange gerberas and yellow seeded eucalyptus are delightfully delivered in an Inspiration Vase.